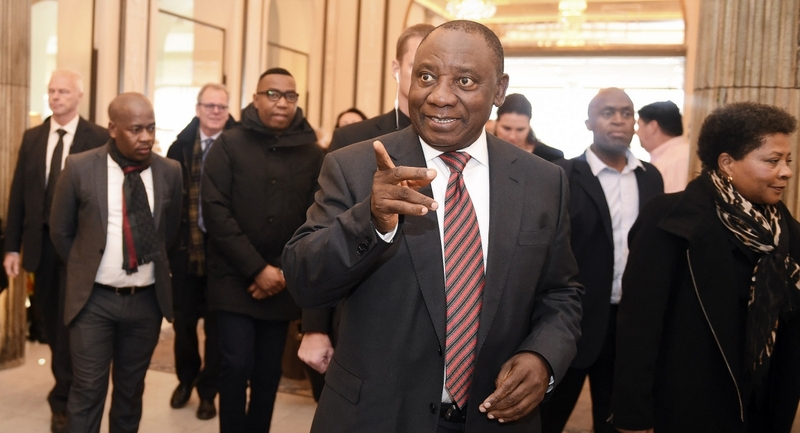 This week, President Cyril Ramaphosa signed into law the Political Party Funding Bill [PDF], which regulates how parties may receive private and public funding. However, it will not apply to the 2019 elections, and deep concerns remain about its ability to truly curb the influence of money in our politics. South Africa has finally joined the civilised world as far as party funding is concerned. As of this week, the Political Party Funding Bill is law – and we finally have regulated the comings and goings of money into politics. Well. Sort of. This is very welcome news! The influence of money in politics is no longer a fringe, leftist subject. It is mainstream politics – many progressive politicians in the United States are, for the sake of making electoral splashes, now signalling their left credentials by rejecting big money donors to their campaigns. On principle, this is a very good and very welcome idea. I’ve written before about how frustratingly murky our laws made the nexus of money and politics. This is a remedy, no doubt. This should be stated: there is a quid pro quo relationship between a big party donor, and that party’s policy positions. Quite simply, when donations to parties are unregulated, or even poorly regulated, politics become an expression of wealth. One billionaire can own a political party to an extent that a party’s own voters simply cannot. This a democracy does not make. The law, which has been in one form or another been kicking around parliament since the Mandela administration, finally came about after a Constitutional Court ruling forced the legislature’s hand on the issue last year, by the organisation My Vote Counts. Broadly speaking, the law forces voluntary disclosure of funding to political parties of amounts over R100,000 – and limits annual payments to a party per person to R15 million. On the face of it, these limits are staggeringly high. Not to make light of the testimony of former Bosasa chief operating officer Angelo Agrizzi before the state capture commission of inquiry, but it costs far less than that to corrupt our politics, as he has testified. Far less. Remember the drug trafficker Glenn Agliotti testifying that he bribed South Africa’s top cop Jackie Selebi with items of clothing? The law ought to reflect the fact that in a grossly unequal country such as ours, it does not cost much at all to redirect a politician’s attention away from their popular mandate, and towards grubby interests. Ramaphosa signed the bill too late for it to apply this year’s elections. A spokesperson for My Vote Counts said to The Daily Vox in an interview that the organisation was disappointed that the bill won’t apply to a major elections. “South Africans will once again go to the polls this year making an informed vote which is a denial of our constitutional right. Nevertheless, this is still a win for democracy and we should celebrate this,” Sheilan Clarke said. She further said that the organisation was aware of the fact that the law is a problematic solution, to say the least. “From the start, we had raised our concerns of the various loopholes in the bill. Especially regarding the thresholds and who ultimately can fund them etc. So there are a number of kinks that will need to be ironed out for the sake of clarity for all involved as well as for this to be a smooth process. For us, and considering the state capture inquiry, the VBS scandal, failing municipalities etc, if we had this bill years ago, we would have not seen the instances of corruption and bribery at this magnitude. Money talks and as the saying goes, money is the root of all evil,” she said. Previously, the Democratic Alliance has opposed the idea on the basis that it would expose its donors to some form of abuse or harassment from the ruling party. However, party communications officer Mabine Seabe said to The Daily Vox that the party supports the law. “Our party funders know the terms and conditions of engaging with us. All we promise them as a party is that where we govern there will be clean governance. Where we govern we will put systems in place to ensure that there is no corruption – and that any money that is given to the party will be used to ensure we will get into government,” he said. The bill also provides for anonymous donations, via a government-administered Multi-Party Democracy Fund, which is distributed to all parties on a calculated basis. In other words, it’s not a way for your to give R100,001 to your favoured party without anybody knowing, unless you’re willing to give proportionally to every other parliamentary party at the same time. Before she became an MP last year, Ngwenya had any sort of traction only amongst University of Cape Town alumni, where she’d made a name for herself for a certain brand of contrarianism, and at the South African Institute of Race Relations (SAIRR), where she worked from some time. She’s been a steadfast critic of any economic policies which make any sort of mention of race, and as such, was on the right-wing of the Democratic Alliance’s line on affirmative action and black economic empowerment. She made a real splash last year when she seemingly announced in an article published by the Business Day that the DA would be scrapping any sort of policy that nodded towards race, in favour of an ‘alternative economic empowerment’ policy. After a hullabaloo of sorts, the chairperson of the party federal executive James Selfe backed Ngwenya, saying that indeed the party was looking to craft an alternative economic redress policy, informed in part by the SAIRR’s position (a ‘free market’ solution, no acknowledgement of race whatsoever). That seemed to settle the matter. But apparently not. Ngwenya’s letter paints an odd picture: the DA head of policy was not funded to set up a unit, didn’t have regular meetings with the party leadership to align policy development with everything else, and was otherwise ignored by the party leader Mmusi Maimane. “The bottom line is that I do not believe the DA takes policy seriously; and as a result, there has not been the operational or political resources necessary to result in a policy outcome I can be proud to be associated with,” she concludes. This isn’t a neutral policy debate that she spoke into, of course. It is fraught with peril, as the former DA parliamentary leader Lindiwe Mazibuko learnt to her detriment in 2013, when she said at the time that it wouldn’t be possible to tackle poverty in South Africa without acknowledging its racialised nature, and seemingly was about to lead the caucus to support the ANC’s Broad-Based Black Economic Empowerment (BBBEE) Bill and the Employment Equity Amendment Bill. She was harshly castigated in public and quickly wound up her career in the party thereafter. Obviously there is a big faction within the DA that opposes economic redress that explicitly acknowledges racialised poverty and disadvantage, and Ngwenya’s stance firmly puts her within that camp. However, there is a camp that for various reasons either recognises race in redress and transformation, or at least won’t publicly deny the link between the two. It is apparent that the tussle between the two factions wasn’t settled by Mazibuko in 2013, Maimane in 2016, or Ngwenya in 2018. So we find ourselves a month away from the DA’s manifesto launch, and the head of policy has accused the party of being unserious about policy development. Quite a few commentators latched onto the race angle – something Ngwenya may find bitterly ironic – to accuse the DA of once again driving out a talented black leader. But viewed through the lens of factional politics, a question arises. Was she starved of resources to do her job on purpose? I don’t say this lightly – even in South Africa, polling is a disciplining force, especially for elections coverage. We’re about six months away from the elections. Did the polls tell the DA something they didn’t like to see about its prospects in the elections about this policy? There’s some precedence here: I remember how strongly the DA messaging around a 30% result was before the 2014 elections. Then, suddenly, it all vanished. The polls had told them the cold, hard truth. And the party only managed 22.23%Â in the national elections.